You know the feeling when you have created something lovely, but think that there’s just that something missing? 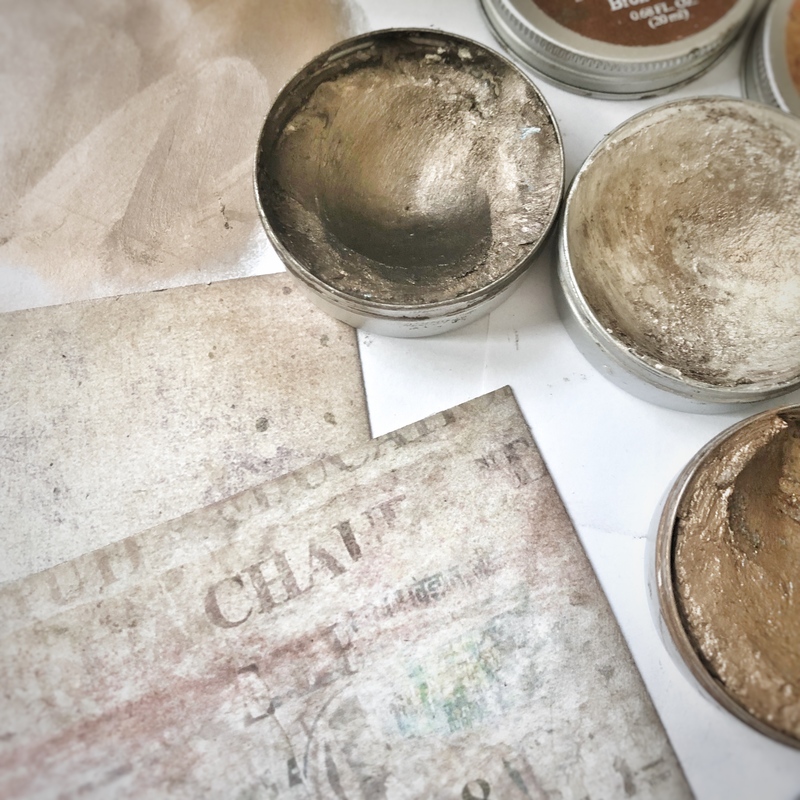 For example, for vintage style crafting, it’s incredibly important to get the worn out, softly aged feeling right. With white, crisp pages in a journal, you won’t get the feeling it’s vintage. The same goes with bookmarks, cards, all paper crafting, really. 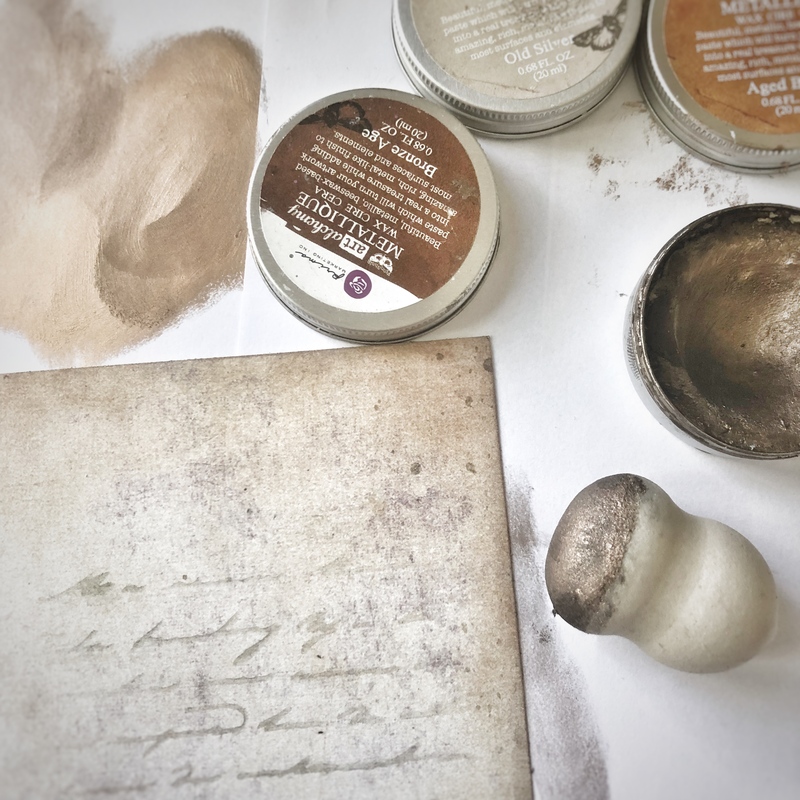 Now we tell you a quick and very easy way to get the vintage look with metallic waxes for your paper crafting, and you’ll find out the best wax combos for it too. We use mostly Prima Marketing Inc and Finnabair products in our own vintage style work, and here’s how we do it. This might be a bit unorthodox as it’s simply a very quick and efficient, non-professional way. Obviously, you can use other brands, but then you do have to find out the best colour combos yourself. 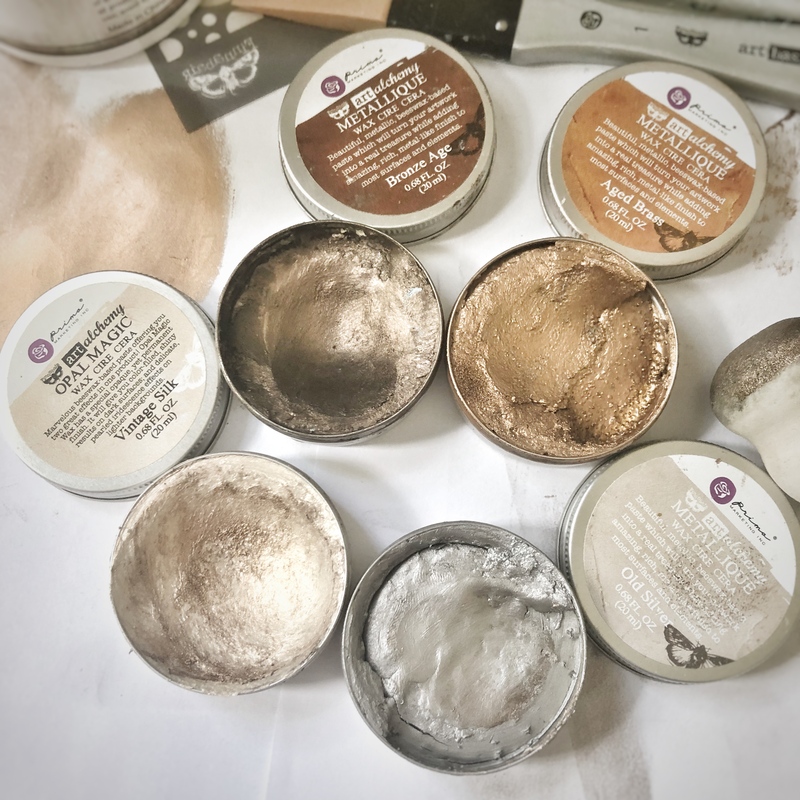 Choosing the right wax shades is important. (In the larger scale of life, not so, but if you’d love to get the vintage look easily, it is fairly important.) 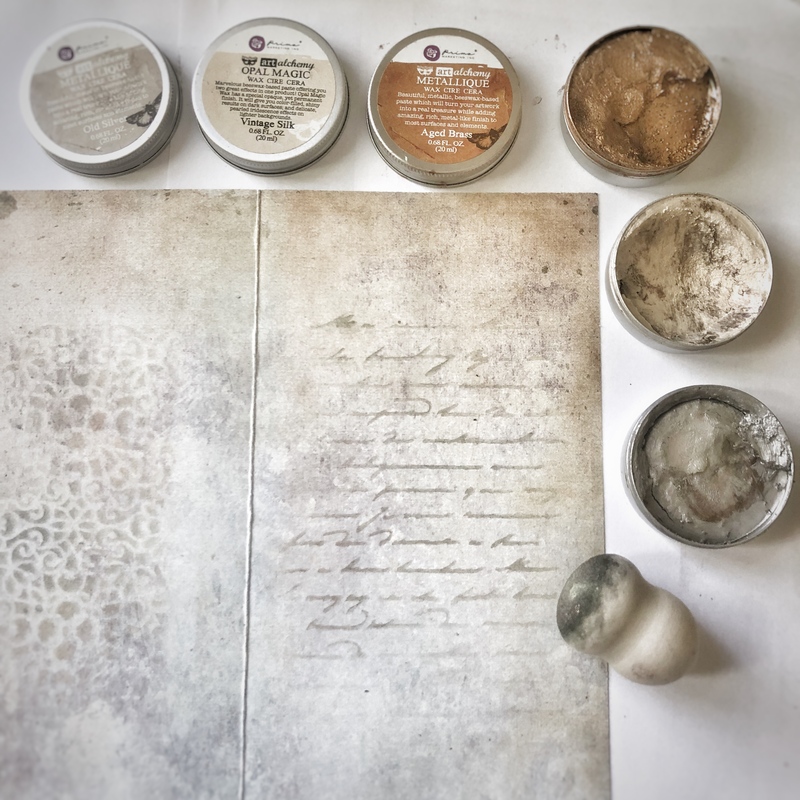 All the products mentioned here are Art Alchemy waxes by Finnabair and Prima Marketing Inc. The reason we mix several shades of waxes is that with one wax, you’ll get quite an obvious, blunt effect. If you combine different shades, the result is much more natural. Oh yes, only the sky is the limit here, but here are some of our favorite combos. Obviously, you can test and decide which one is the best for you, though, and go for another colours entirely! Ok, now that the colours are sorted out, take your papers and waxes, and let’s start! 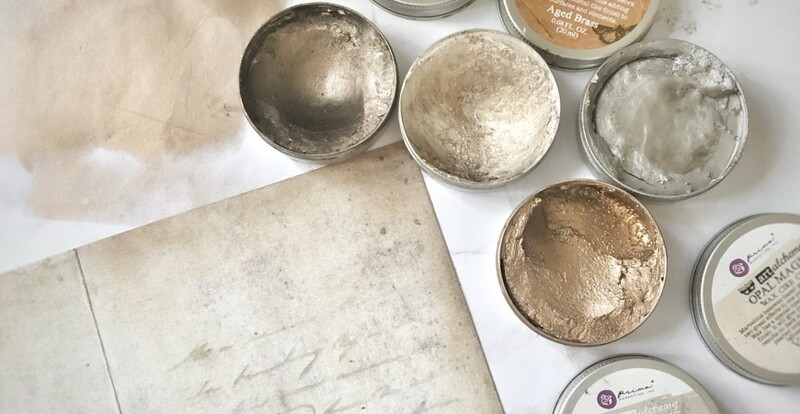 1) Using a sponge of a towel, or whatever you normally use for applying waxes, take a tiny dip from the wax tin, and smudge it to a paper sheet. Repeat with other colours, blend them together until you have a shade you are satisfied with. 2) Be careful not to have too much wax on your sponge; if you want to be extra careful, you can take another, clean sponge, and use it for applying the finished mix to the surface of your vintage project, but using the same sponge is just fine. You just need to adjust the amount of wax accordingly. 3) Take your vintage project, and a protecting sheet if you happen to have a project that has many layers beneath the one you are working with. 4) With the wax sponge, carefully smudge the edges of your project. 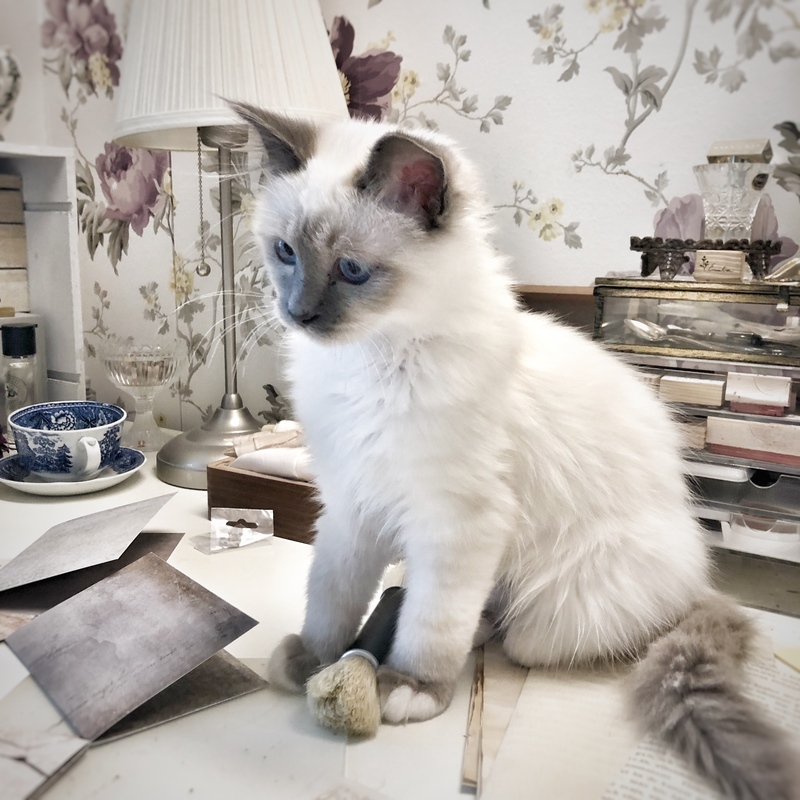 Be careful to have the protecting sheet under your project; otherwise your desk will have a decorative layer of waxes, too. Using a featherlike, airy brushes, apply the wax over the edges. Repeat until you are satisfied with the look. 5) Repeat as many time as needed for your project. 6) Well done, you did it! Easy, wasn’t it? 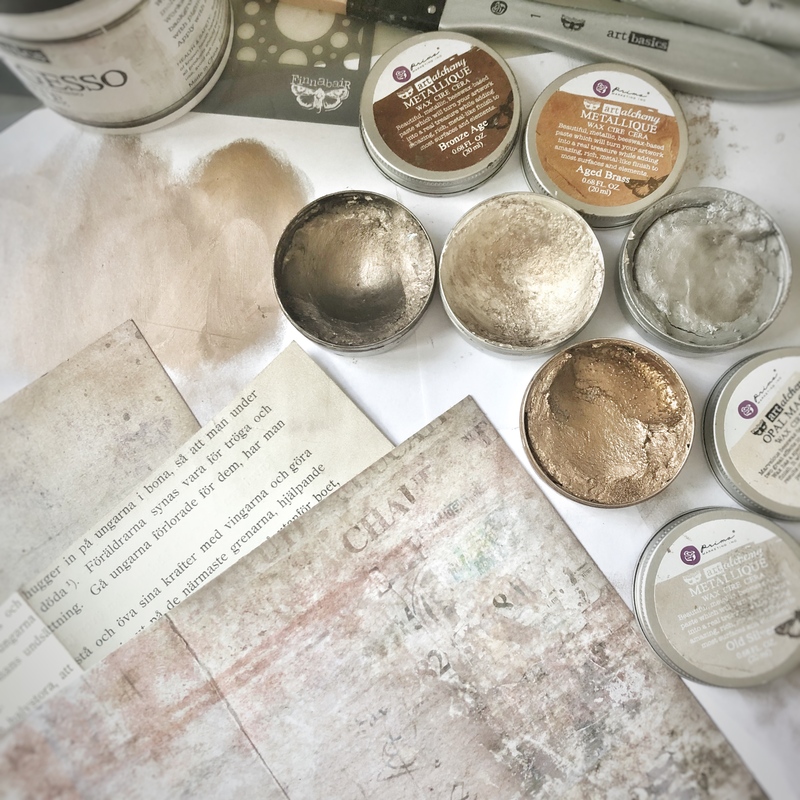 In the next tutorial we'll tell you how to use gesso to get even more authentic worn out look! See you soon! Tip No. 1 from Mr. Hemingway. Use brushes. Lots of brushes. The best part ever in crafting is brushes. Only, you have to fight for them, as the brushes are Very Well Guarded. We’d love to see the result of your projects using these tips! Please feel free to tag us on Instagram @varalusikka or send a comment or photo here on our blog, so we can share our mutual joy of crafting!